You might say music has always been Mary’s destiny. She was born into a family of musicians and began singing in church at the age of 7. At the age of 8 she began accompanying at school programs. She trained in classical piano and by age 13 she was already writing her own music. She was married right out of high school to her sweetheart and best friend, Peter. They’ve raised four kids together who all grew up to be musicians, song writers, teachers, and lovers of Jesus just like their parents. Mary is so happy to say that her entire family is involved in ministry. Mary LOVES Jesus! She knows that her music is HIS. 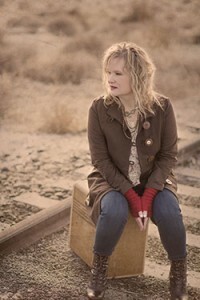 She has been a worship leader her entire adult life and loves writing worship music. She has written several musicals and cantatas for church. Mary became a piano teacher when her son asked for lessons. They couldn’t afford to pay a teacher, so Mary begin teaching him on her own and within a month, five neighbor kids were also taking lessons! Some years later music teachers at the local schools as well as parents of young people began asking Mary if she would teach children to sing, so she began offering voice lessons as well. She worked with vocal mentors to learn how to teach with understanding and methodology. Her studio quickly grew to over 80 students and a waiting list! Though Mary has been writing music for most of her life, it had always been for herself, her family and friends, her church, and her community. In 2013 Mary began the “official” journey to become a recording artist for the first time. A year later, her first solo album, appropriately titled “A Journey” was released.